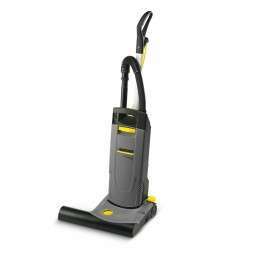 Powerful dual motor brush-type vacuum cleaner with telescopic suction tube. 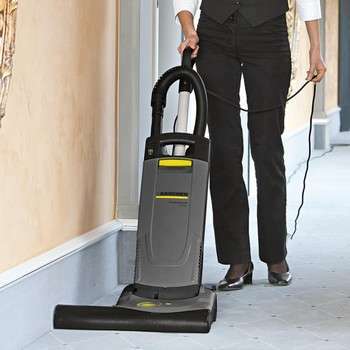 Height-adjustable ergonomic handle and accessories. Brush adjustable to depth of pile with indicator light to show operator when brush is set correctly. The triple filter system: fleece bag, motor protection filter and exhaust filter (exhaust outlet points downward). Electronic brush overload protection prevents damage if the brush is jammed. Protection against use without bag or filter. Uses disposable fleece or optional cloth bag. Fleece bags have double the dust capacity of traditional paper bags and 10% better retention rate.